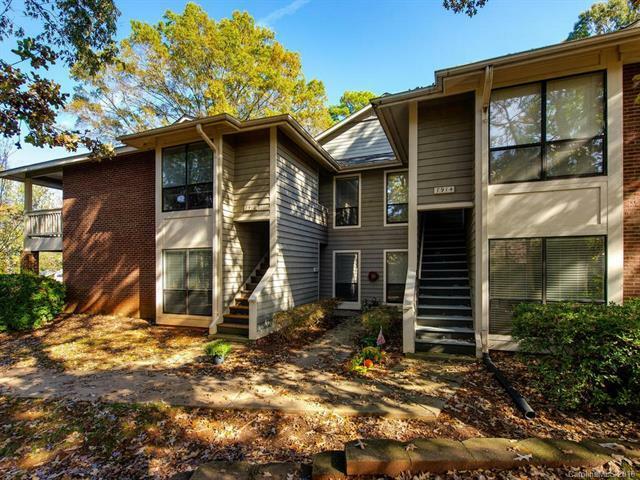 Hard to find one story condo on ground level nestled in small wooded complex in Raintree backing to golf course.Brand new carpet and some fresh paint for move in ready. Wood burning fireplace in GR. Sliding glass door to enclosed and covered patio. Kitchen has engineered wood floor black and stainless appliances. Breakfast nook. Community pool. Water and Sewer included in HOA dues, no rental cap. Opportunity to join Raintree Country Club w initiation fee waived.